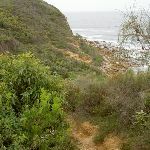 From the Mt Bouddi carpark (at the end of Mt Bouddi Rd, off Scenic Road), this walk heads past the sandstone building, following the ‘Little Beach’ sign. 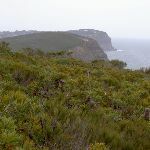 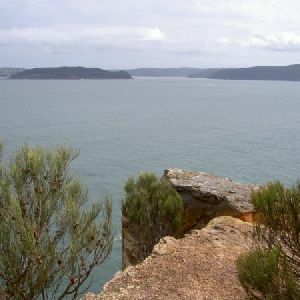 The walk goes down a few flights of stairs, and meanders for some time, passing some old metal fence posts, passing through another saddle, and arriving at Bouddi Lookout, on a small rocky outcrop. 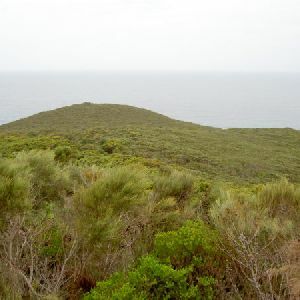 Continue straight: From the lookout, the walk follows the bush track down the ridge line. 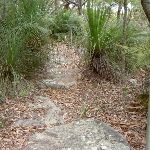 The walk winds down the hill for some time, using a lot of steps, to a signposted intersection. 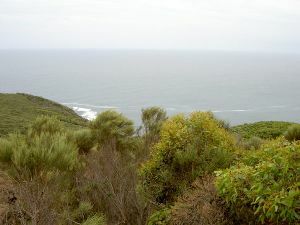 Turn left: From the intersection, this walk follows the bush track through the heath, keeping the ocean to the right. 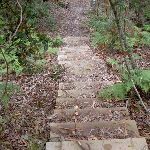 The walk soon descends, via steps, and crosses a bridge. 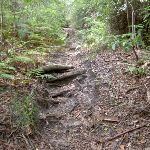 The walk then climbs and drops steeply, crossing another two creeks, then winds up a hill via steps and some steep, eroded sections of track. 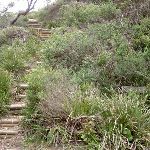 After levelling out, the walk continues for a little while, before reaching the end of a management trail, signposted ‘Bouddi Coastal Walk’. 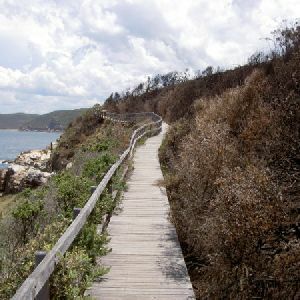 Turn left: From the clearing, this walk follows the sandy management trail up the hill, keeping the sea far out to the right. 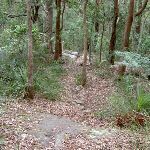 After a while the track starts to climb and winds up the hill for some time to the signposted intersection. 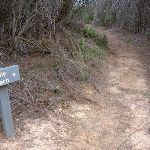 Veer right: From the intersection, this walk follows the management trail up the sandy hill, keeping the sea to the right. 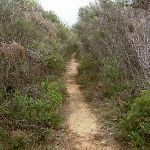 The trail soon comes to the signposted intersection, with another trail on the right. 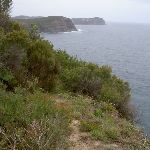 Continue straight: From the intersection, this walk heads down the hill, keeping the sea to the right. 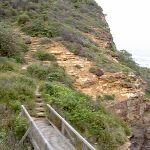 The walk descends for some time before turning gently and climbing for a while to the signposted intersection. 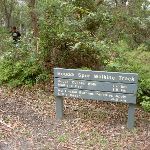 Turn right: From the intersection the sandy track follows the ‘Trail 81’ and ‘Bombi Moors’ signs up the hill. 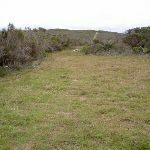 The track heads undulates for quite some time down to a grassy caldasac near the cliff edge. 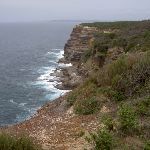 The lookout at the end of the Trail 81 has some great views up the coast with the sea cliffs with the ocean surging into it. 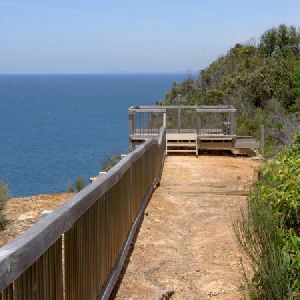 The Lookout is unfenced and has an unobstructed view out to sea from on high. 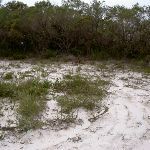 (4.41km) Bombi Moors → Sandy Clearing Little Beach Access Trail Int. 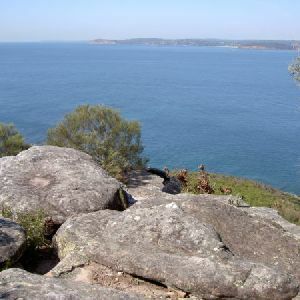 Turn around: From the caldasac the track heads up the hill away from the sea and cliffs. 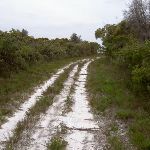 The track continues up for quite some time to a sign marked intersection. 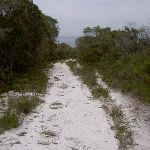 Veer right: From the intersection, this walk follows the ‘Little Beach’ sign along the white sandy track, going down the hill. 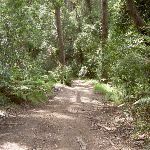 The track winds down the hill, tending left, for some time to a signposted intersection. 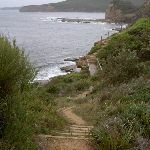 Turn right: From the intersection, this walk heads down the hill, following the ‘Little Beach 200m’ sign. 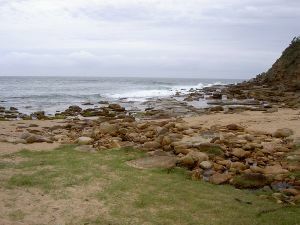 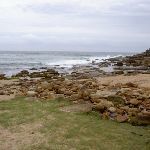 After approximately 300m, the walk comes to Little Beach campsite and continues to the point where the creek meets the beach. 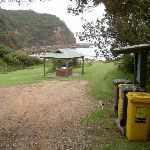 Little Beach campsite is a small grassed area, wedged between the hills and set back from the beach. 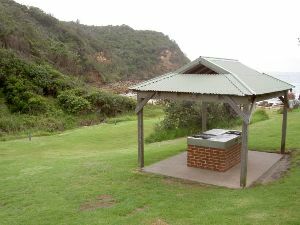 The campsite has six designated sites, a composting toilet, rubbish bins, Gas BBQ’s and a shelter. 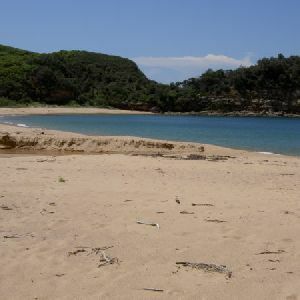 There is no drinking water onsite and the beach is only 20m away. 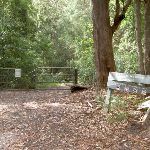 Continue straight: From the intersection, this walk follows the ‘Little Beach Carpark 300m’ sign along the management trail, going up the hill. 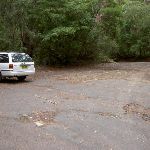 The walk drops through a gully, crossing the creek and climbing up the hill before passing around a gate and arriving in the car park. 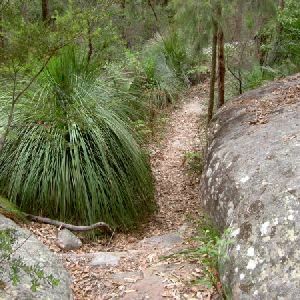 Around 3.8km of this walk has gentle hills with occasional steps, whilst the remaining 2.7km has short steep hills. 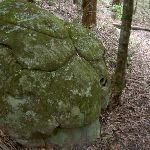 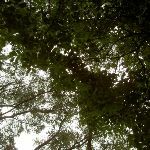 6km of this walk follows a formed track, with some branches and other obstacles and another 460m follows a rough track, where fallen trees and other obstacles are likely. 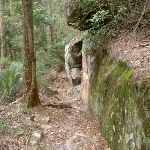 The remaining (280m) follows a clear and well formed track or trail. 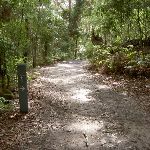 Around 6km of this walk has directional signs at most intersection, whilst the remaining 630m is clearly signposted. 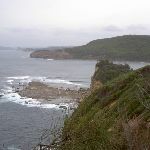 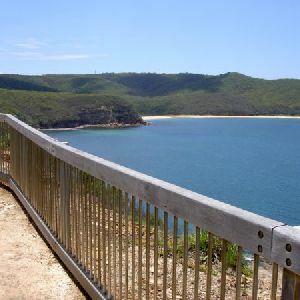 Around 4.6km of this walk has limited facilities (such as not all cliffs fenced), whilst the remaining 1.9km is close to useful facilities (such as fenced cliffs and seats). 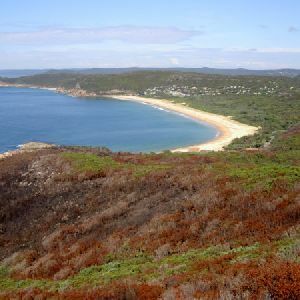 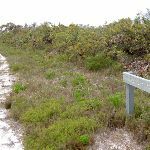 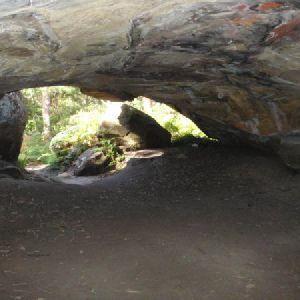 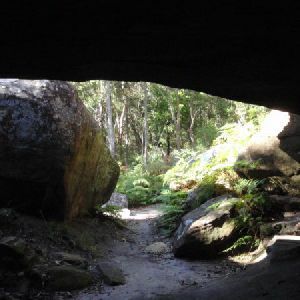 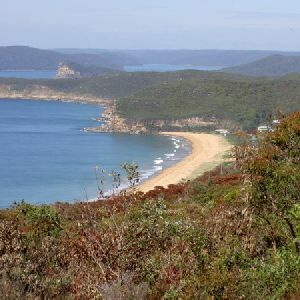 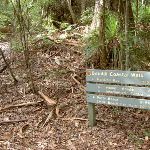 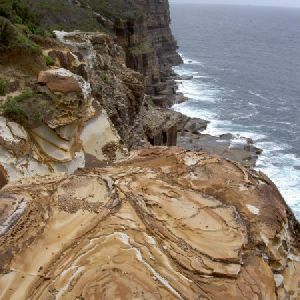 A list of walks that share part of the track with the Bouddi Spur to Little Beach via Bombi Moor walk. 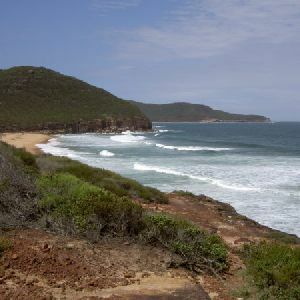 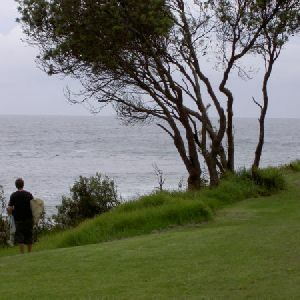 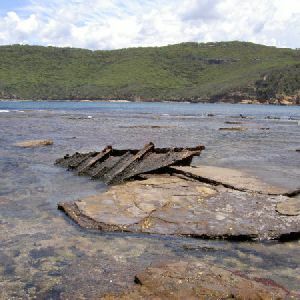 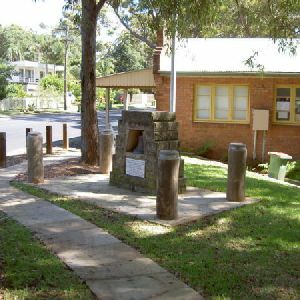 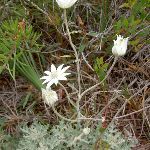 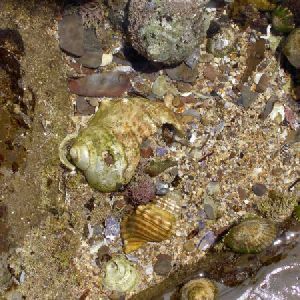 A list of walks that start near the Bouddi Spur to Little Beach via Bombi Moor walk. 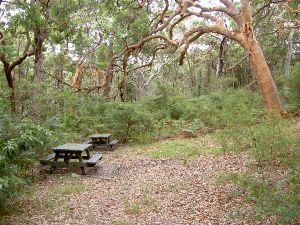 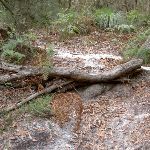 http://new.wildwalks.com/wildwalks_custom/includes/walk_fire_danger.php?walkid=nsw-bouddinp-b Each park may have its own fire ban, this rating is only valid for today and is based on information from the RFS Please check the RFS Website for more information.